Beautiful Rose Gold Heart Charm on Pandora Style Bail with Swarovski Birthstone Crystal. 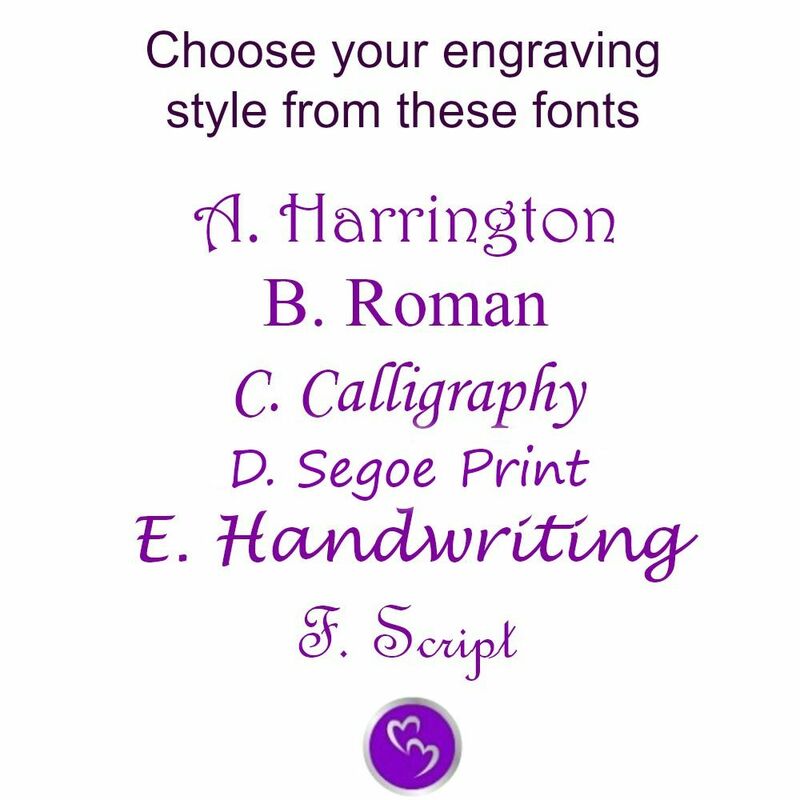 Any Engraving of Your Choice on one or both sides of the heart. All metal parts of this charm and bail are high grade rose gold plated stainless steel. Suitable for most popular snake chain or European style bracelets. 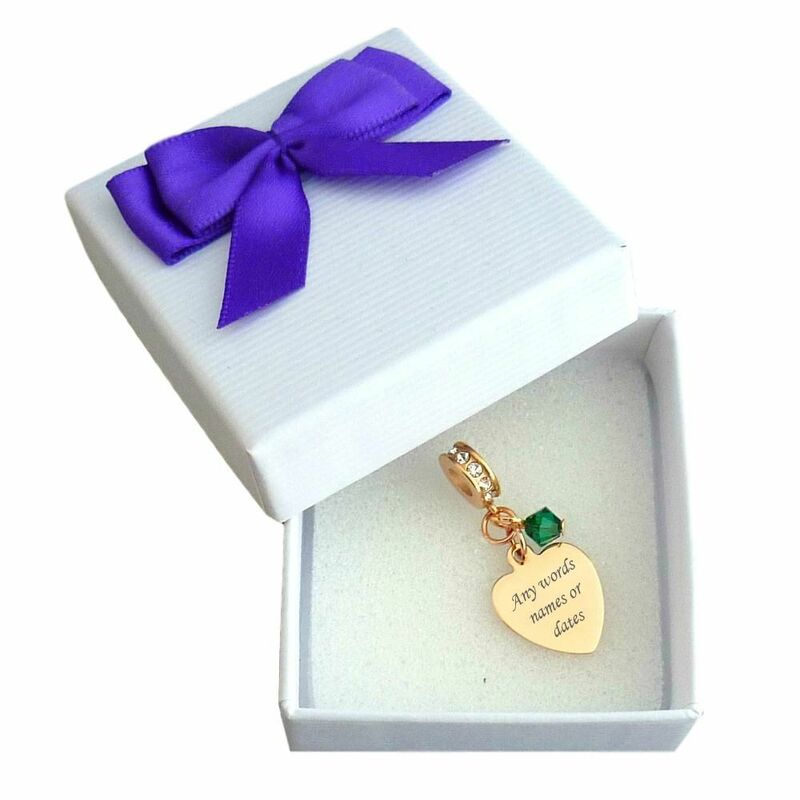 Any one Swarovski crystal birthstone dangle is included to hang alongside the engraved heart. 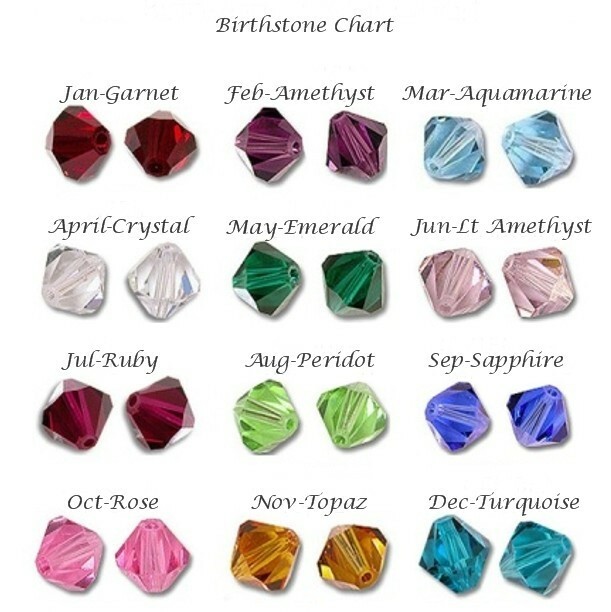 Please quote the birthstone month you would like in the relevant box. Heart Size: 14mm x 14mm. Comes packaged in the little gift box with bow. 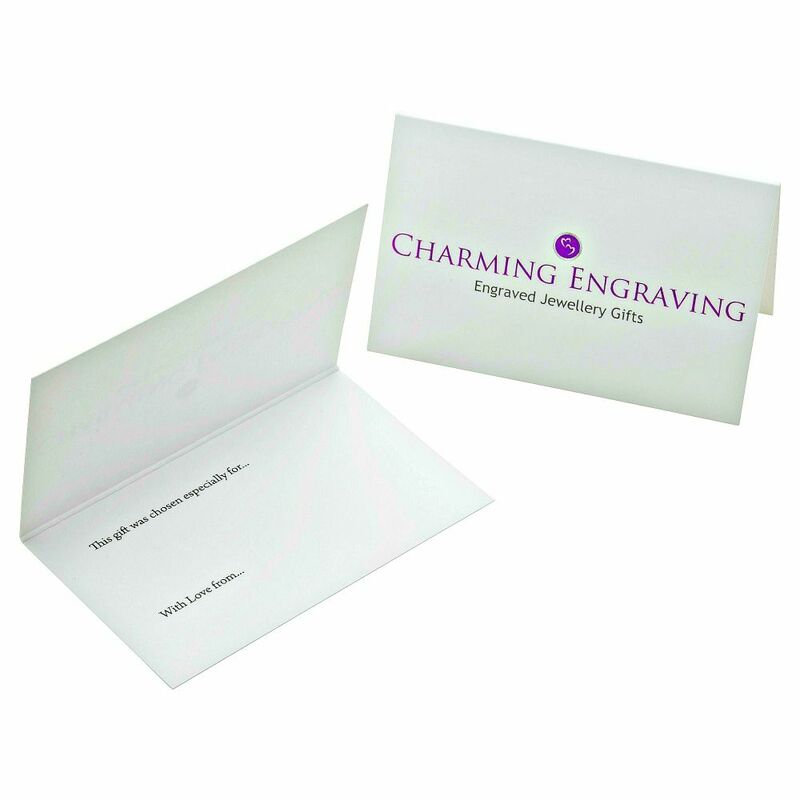 This charm can be custom engraved with words, names, dates or messages. Delivery: We dispatch all orders within 3 days following receipt of cleared payment. Standard or Express Delivery is available.